If you are over 65 years of age and have a small repair job that you would like help with then the Blanchardstown Area Partnership and Age Action Ireland can help you through their new Care and Repair Programme. For jobs they cannot do they can put you in contact with a reliable trades person. 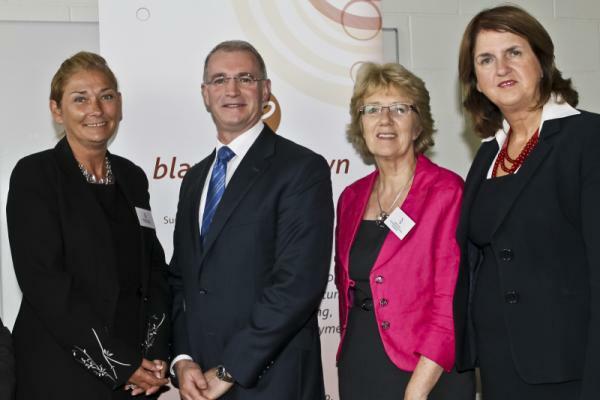 The Service was Launched by Minister for Social Protection Joan Burton, BAP Chairperson Councillor Kieran Dennison and Claire Bellis from Age Action Ireland. Age Action's Care & Repair Programme was established in October with funding from Irish Life to carry out 'odd jobs' for those over the age of 65. The volunteers and staff provide a willing pair of helping hands to do a variety of small tasks that an older person may find difficult to do. A 'job' is expected to take no longer than an hour, though many small tasks may be undertaken during the same visit. The service is free of charge; the client only pays for the cost of materials used. Any donations received are used for the project funding. If you are over 65 and would like some help please contact Care & Repair on (01) 8206171 or 087- 7388527. Trades Referral: The Programme is not intended to replace the need for specialist skilled trades persons. Many people do not know how to go about getting reliable trades people. In the situation where the job is beyond the scope of the Programme, names and contact details of trustworthy trades people are available on the Caare & Repair register.